McPartlin was due to appear in court on Wednesday. But a spokeswoman for the court said the hearing had been adjourned until April 16. After he was charged ITV announced that the 42-year-old's co-presenter Declan Donnelly would go on to present the end of the current series of Saturday Night Takeaway on his own. During the series finale he joked he had "twice the amount of work to do", and at one point said: "I'll have to do it myself, like everything else this week." 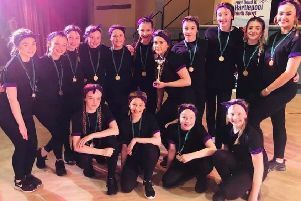 They are the champions - of Hartlepool hip hop!